In January when I did the postage stamp swap for the first time, I was intrigued by the thought of making quilts out of tiny pieces of fabric. 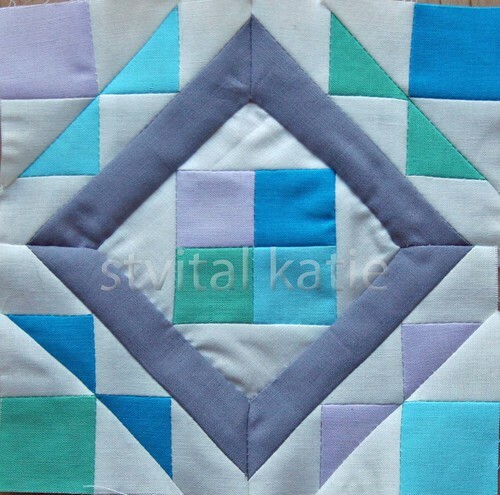 Some as small as 1" squares! To make a quilt 84X96 out of 1" squares you would need 26, 496 squares. I know that I am not going to take on that project, but I did want to see what it would look like, so I gathered some fabric, cut it down and started to sew. I could have put more care into it and matched my corners, but I didn't. 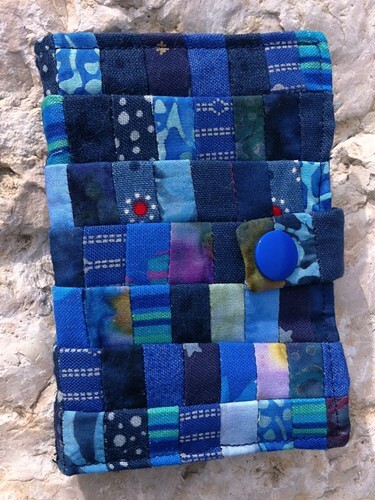 What I came up with was a block the perfect size to make a needle book. 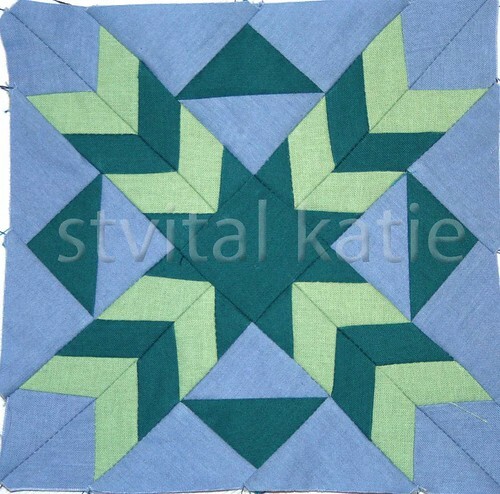 Just to prove that I am still working on some things, here are two more Farmer's Wife Blocks. I actually posted about this one in a different post a few weeks ago! Garden Path has some interesting seams! I should have looked up some help on how to sew it, but I did not. Instead when my needle broke near the end of assembling it, I switched to hand sewing. It was actually kind of fun. The more I sew, the more I enjoy hand sewing.